For the third consecutive day, the number of artistes who converged on the Korean Cultural Centre in Abuja was intimidating. They had come for K-Pop dance workshop, a new performative idiom in Abuja. The genre has become a global phenomenon that Korean cultural centres around the world host courses on it. This afternoon, it was quite fascinating to see how excited these dancers were when they discussed their beloved bands. They knew every dance move for their favourite songs. A dance contest, which is now in its eight edition, is also organised yearly by Korean Cultural Centre of the Embassy of Republic of Korea in Nigeria, and it is for interested dance teams from across the country at no cost. The aim, according to the organisers, is to promote understanding and strengthen bilateral relationship between Nigeria and Korea through cultural exchange programmes and activities. For the competition, two K-Pop instructors were invited last year from Korea to share their knowledge of music and dance as well as learning from Nigerian dancers and instructors. Once, a team from Nigeria conquered the K-Pop world and became the first team from African continent to win the KBS World K-Pop competition. In 1994, the French Cultural Centre, Lagos, organised a workshop on dance, where Claude Brumachon and Benjamin Larmache were invited to impart on Nigerian choreographers and dancers Europeans dance concept. The workshop had over 300 dancers in attendance, but only seven were selected to participate in the artist-in-residence programme at the Centre Choreographique National de Nantes, France, in 1995. The seven successful dancers were Abel Utuedor, Faith Benson, Abubakar Usman, Esther Olaniyan (now Esther Bubakar Usman), Adebayo Liadi, Bayo Ogunrinade and Christopher Abdul Onibasa (now Christopher Emmanuel Onibasa). These dancers went on tour of West Africa and France in 1996 with a dance piece choreographed by Brumachon titled, When the gods go crying. During the years between the first contemporary dance workshop and the birth of the first festival in the country —Danse Meets Dance (DMD) Festival —the genre has grown much bigger and more complicated than the origin would have suggested. DMD, which started in 2001, was first organised and run by the French Cultural Centre, Lagos, until 2004, when the centre closed in the country before it was reopened last year by the country’s president, Emmanuel Macron, when he visited Nigeria. At the time, it seemed idiosyncratic, to say the least, for Nigerians to embrace such a dance with no correlation with traditional dance. Less than three decades after, the landscape has been transformed in the country. The festival aimed at encouraging professional dance in the country and gave Nigerian dancers exposure on the international scene. The festival featured performances from local and foreign dance companies, and also, workshops for professional and amateur dancers. While these foreign agencies are aggressively promoting their various cultures and languages, and getting Nigeria’s young ones immersed in them, the country is tragically indifferent to the promotion of its own languages. With Nigeria’s economy in poor shape, admission of Nigeria’s youngsters into the foreign language programmes of the different culture missions has been on the rise, with their possible intent of ‘checking out’ of the country for greener pastures abroad, with the facility and mastery of these foreign languages	. Thousands of artists and intelligentsia have left the country since their encounter with culture missioners from the Western world. Every month, one artist or the other escapes to Europe or America, fleeing from grinding poverty and in search of greener pastures. From London to Paris, New York to Berlin, Nigeria has one of the highest numbers of ‘artistes in exile’. In every corner of the world, you’re likely to see a Nigerian actor, writer, musician, dancer/choreographer, painter, sculptor, photographer, arts historian, curator, critic or academic hustling. Increasingly, they are escaping to more vulnerable status. Nigeria currently hosts so many foreign agencies, whose mission is to promote their language and protect their culture, which many of these agencies engage in. Culture, no doubt, has an important place in the European Union’s development cooperation. The EU provides support to cultural diversity in developing countries. It also promotes culture as making an essential contribution to human rights, key elements of good governance and inclusive and sustainable growth. For the EU, culture facilitates social inclusion, freedom of expression, identity-building and civil empowerment, while strengthening economic growth and helping to foster political participation and ownership. In the context of its development cooperation, the EU focuses on supporting and promoting the culture of beneficiary countries rather than its own. It takes local and regional cultural specificities into account when designing and implementing development cooperation programmes and projects (with particular attention given to targeting cultural aspects under specific sector programmes to accompany partners for a smooth evolution wherever certain traditions and behaviours are damaging and jeopardise attempts to reduce inequalities and poverty). To strengthen the creative sector, UNESCO and European Union recently launched an international call for expertise and peer-to-peer support. The call was launched to support developing countries that have ratified the UNESCO Convention on the Protection and Promotion of the Diversity of Cultural Expressions (2005), establish new regulatory frameworks that strengthen the cultural and creative industries and promote South-South cooperation. The expertise and peer-to-peer learning support, to be implemented in 2019-2020, will be supported by the EU/UNESCO international expert facility. It will support beneficiary countries, within a timeframe of 18-24 months, to design, adapt and/or implement regulatory frameworks (laws, strategies, policies and measures) for the cultural and creative industries (CCIs), including intellectual property rights related to CCIs; strengthen skills and capacities to support long-term cultural policy development and implementation that support the CCIs	. According to the British Council Nigeria, it has been managing international development projects for over 70 years, working with donor organisations, ministries, foundations and private sector partners. “Our strong local knowledge and relationships have enabled us to develop a solid understanding of the challenges facing people in Nigeria. This understanding paired with our global expertise enables us to deliver effective international development solutions that will help Nigeria achieve sustainable change,” the council noted. Its main vehicles are exhibitions in the visual, literary and performing arts, interpersonal communication achieved through exchanges of artists, journalists, writings, filmmakers, cultural workers, teachers and instructors or through lectures, symposia, seminars conferences, competitions and accession to treaties designed to promote mutual interests and improve understanding, Anaemene noted. Though the cultural foundation of Nigeria’s foreign policy was actually laid in 1960, cultural diplomacy has attracted little attention and this has been left for foreign agencies. Anaemene noted that politicians and diplomats have regarded cultural diplomacy as a lesser tool of diplomacy, which in turn is regarded by some as a lesser tool of foreign policy. The academic pointed out that the art of using culture, as a diplomatic tool was a French invention in the late 19th century. 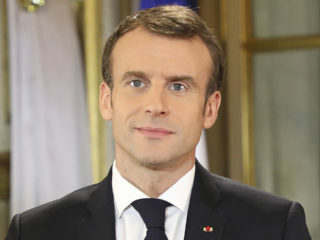 Following its defeat in the Franco-Prussian war of 1870-1871, the French Government sought to repair the nation’s shattered prestige by promoting its language and literature through L’Alliance Francaise, created in 1883	. The projection of French culture abroad thus became a significant component of French diplomacy. Other countries such as Italy, Germany, Britain, and the United States followed suit. For instance, the activities of the British Council; German Goethe Institute; United States Information Service (USIS) (now defunct), were all aimed at penetrating host countries through lectures, films, libraries, press, cultural and academic exchanges and other means without having to go through the rigors of normal diplomatic practice. The French Cultural Centre used to hold visual arts shows, film sessions, lectures and musical events. Some of today’s stars like, Femi Kuti, Sound Sultan, Asa and other artists were regular guest performers at the centre until the owners sent the French packing. Goethe still holds its quarterly ‘Literary Cross-Roads’ with Nigerian writers in cross-continental conversation with other African writers. In the past 30 years, China’s global influence has grown with its embrace of globalisation and the resulting increase in cultural exchange. 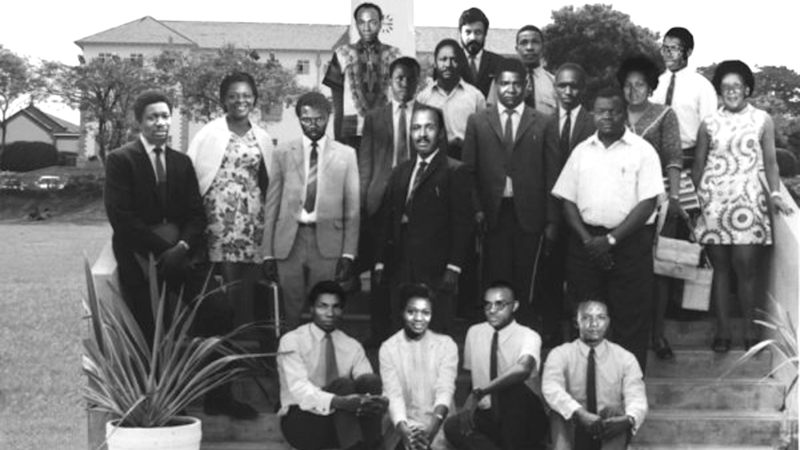 Decades earlier, on June 1, 1962, Africa’s first crop of promising writers and cultural workers converged on Makerere University, Kampala, Uganda. It was the first African Writers Conference, which was a milestone in African literature dealing directly with the legacy of colonialism. It attracted a number of African writers such as Chinua Achebe, Wole Soyinka, Ezekiel Mphahlele, Lewis Nkosi, Ngũgĩ wa Thiong’o, Bloke Modisane, Okot P’bitek, Bernard Fonlon, Christopher Okigbo, Gabriel Okara, Segun Olusola, Grace Ogot, Jonathan Kariara, Rebecca Njau, Saunders Redding, Arthur Maimane and Rajat Neogy. Fifty-five years after, in 2017, School of Oriental and African Studies (SOAS), University of London, held a memorial conference in honour of the 1962 Makerere conference, with the title, ‘SOAS African Literatures Conference – 55 years after the first Makerere African Writers Conference,” which brought together some of the continent’s leading literary thinkers. Speakers at the event included, Wole Soyinka, Sefi Atta, Cameron Duodu, Ivor Agyeman-Duah, Xasan Daahir Weedhsame, Mpalive Msiska, Wangui wa Goro, Chege Githiora, Alena Rettová, Kwadwo Osei-Nyame Jnr, Martin Orwin, Louisa Egbunike, and Richard Oduor. However, with ‘Conference of African Writers of English Expression’ as theme, it didn’t come off altogether as an innocent gathering. The conference’s sponsorship had a much-discredited foreign imprint. America’s all-powerful clandestine spy agency Central Intelligence Agency (CIA) that would spearhead most of Africa’s political instability from the 1960s through to the 1980s, with the murder of most African presidents and heads of states was involved. But the beneficiary writers did not know this at the time; the revelation came to light much later. Back in Nigeria, one individual who would play a prominent and pioneering role in the country’s emerging cultural life, Horst Ulrich Beier, known as Ulli Beier, was said to have been a CIA agent. The German editor, writer and scholar was one of the people that pioneered the development of literature, drama and poetry in Nigeria as well as in Papua New Guinea. Indeed, he played a central role in shaping Nigeria’s cultural life at that early beginning when he gathered such cultural icons as Soyinka, JP Clark, Okigbo, Demas Nwoko, Mphalele, Frances Ademola, Mabel Segun, Uche Okeke, Arthur Nortje, and Bruce Onobrakpeya to form The Mbari Club in Ibadan. 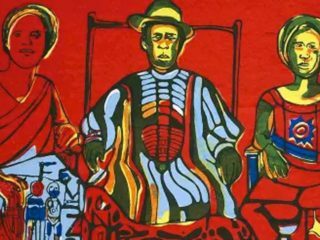 These were Nigeria and much of Africa’s early and leading literary and cultural figures, whose work became the defining factor on the continent’s cultural and artistic landscape. These icons had the backing of foreign agents and agencies. The trend has continued till date. Beier, who graduated from the University of London, where he got a degree in Phonetics, came to Nigeria in 1950 in the company of his former wife, the famous Austrian artist, Susanne Wenger. He joined the University College Ibadan (now University of Ibadan) and traveled to several Yoruba towns and villages where he imparted knowledge to many Nigerians. Though, he was a teacher at Ibadan, he ventured outside the city and lived in nearby cities of Ede and Ilobu before settling in Osogbo and this gave him an avenue to experience the environment of different Yoruba communities	. But has the relationship with foreign agencies been good or bad? 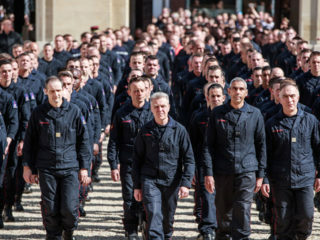 A major element of these agencies is what some critics have termed the continuing colonialisation of Africa, especially in the culture-defining area of language acquisition, where European languages dominate the cultural calendar of these agencies. And so from Britain’s British Council to Germany’s Goethe-Institut Nigeria to France’s Alliance Francaise and China’s Confucius Institute, their language curriculum is probably the biggest programme on offer. Confucius Institute is conspicuously located and embedded inside one of Nigeria’s foremost universities, Faculty of Arts, University of Lagos. With such delicate location, the Chinese agenda is clear: deliberate and aggressive Chinese language propagation through a learning environment where the young congregate the most. Soft power is concerned with the attractiveness of a nation – the business of inspiring others to want what you have. Culture diplomat believe that soft power entails ability to ‘affect others to obtain the outcomes you want’. This can be achieved using three avenues of influence comprising ‘threats and coercion (sticks), inducements and payments (carrots) and attraction that makes others want what you want. While these foreign agencies are aggressively promoting their various languages and getting Nigeria’s young ones immersed in them, the country is tragically indifferent to the promotion of its many rich languages	. Oladipo Jemi Alade, a tour operator who also runs Oaks Cultural Centre, Isheri, Lagos, argues that the mind of Nigerians are still largely colonised, as he looks upon anything from Europe as the best that must be copied. Ignorance, he also argues, gnaws deeply at the heart of Nigerians and colours his understanding of culture and its ultimate goal in understanding how the world works. ”If you talk about culture, what is culture?” Alade asks. “Where does it reside? It resides in you, and me and in individuals. But once your perception about reality is affected, something is wrong. You see, I’m speaking to you in English, why? Because we are still colonised. We now have to speak to each other in a foreign language. Can we reclaim our language back? It is, of course, possible, but are we making efforts? No! So, there is a lot wrong with us. If you look at a country like Japan, at one point, the West messed it up, but they have fought their way back and we can see who they are today. When are we going to wake up to the reality that we cannot live under the auspices of other people? “We seem to have what is known as colonial mentality, that everything that is foreign is good. This is one of the things affecting us as a people, but we don’t seem to understand that we need to open our eyes. The way we perceive reality is so faulty. Look at the issue of religion: Nigerians are so faulty, and you know the greatest export from Nigeria today is religion. Religion is another’s man reality about what God is. “We live in a very ignorant society; even the so-called educated people are very ignorant. If you are lucky you know your father, but do you know your grandfather? Even when you know him, do you know his history? And you never thought it fit to find out your family history? If you trace back history you will discover that slave trade affected us more than we think. But Alade’s view is one of two ways of looking at the presence of these foreign agencies in Nigeria and Africa’s culture landscapes. There are direct beneficiaries of such interventions, who believe they have done more good than whatever harm they are perceived to be doing in undermining local cultures, particularly local language development. Back in the 1990s to the early 2000, when the French Cultural Centre wasn’t just about French language teaching alone, many Nigerian artists got their groove on. Then it was located on Alfred Rewane Road, Ikoyi. This is how theatre director and CEO of PAWSTUDIOS, Mr. Kenneth Uphopho, put it in a recent chat with The Guardian. Uphopho directed British Council-inspired Lagos Theatre Festival for five years, which specialises in the use of unconventional spaces for dramatic performances. Uphopho also said artists’ mobility, access to travels, and cross-country engagements of artists are some of the huge impact these agencies fetch African artists. The British Council and Goethe-Institut, for instance, regularly facilitate exchange of artists between Europe and Africa to be part of festivals, an opportunity that would have been impossible due to funding constraints that stare African artists in the face. According to Uphopho, “equal opportunity for artists, support and making sure that projects come alive are some of the interventionist areas these agencies play a major role in advancing local artistic endeavours. They create venues, they engage with businesses, facility owners; in fact, they get leverage for artists, pay for events. They encourage local capacity development, especially in Lagos, which has spiraled into a new generation of artists. Thirty years ago, only its inscrutable leaders were recognised in the West. Now people like actress Zhang Ziyi, basketball player Yao Ming and artist Zhang Xiaogang are global figures. About 840 million Chinese speak Mandarin as their first language. Only 375 million people worldwide speak English as first language. But one billion more speak English as second language, or have learnt it as foreign language. The Confucius Institute project has gathered an impressive momentum; since 2004 more than 400 Confucius Institutes (and 600 smaller Confucius Classrooms) have been set up in 120 countries and regions. The institutes are focused on providing an understanding of China that is primarily based on language learning as the route towards greater comprehensibility and accessibility and although their presence has helped to present a view of China that is fuller than any notion that might be gained than when shopping on the High Street, it has not been unproblematic. Only on Tuesday, November 6, 2018, the University of Lagos and the Chinese Investors Association for Development and Promotion signed a Memorandum of Understanding that established the University of Lagos’s Institute of Nigeria-China Development Studies. The Vice-Chancellor, Prof. Oluwatoyin Ogundipe, said at the inauguration that the institute would be world-class and a comprehensive resource centre for Chinese investors in Nigeria and Nigerian businessmen and others desiring to collaborate, cooperate or work with one another. He added that the institute was designed to create a conducive environment for exchanges in order to strengthen corporation between Nigeria and China at all levels. “This new institution will also create multiple avenues for the study of Chinese civilization, side-by-side Nigerian civilization. There is the need for both Nigerian and Chinese civilizations to interact with a view to identifying the strengths and weaknesses of each, so as to provide a platform for mutual growth,” Ogundipe said. Professor Duro Oni, the first Director of Confucius Institute at University of Lagos, said, “It is for the Nigerian government to work out the modalities for their engagement with the Chinese Government and ensure that it is mutually beneficial. I have been a witness to the phenomenal growth of the Chinese, especially in infrastructural development – fast rail network, roads, power, housing, water transportation, and airports. The bullet trains in China travel at 310 kilometres an hour and China built 20,000 kilometres of the tracks in 10 years. If we had such trains, a trip from Lagos to Abuja will take about two hours. We certainly can do with assistance from the Chinese, but the terms of such engagement must be clearly defined. “From my primary constituency at the University of Lagos, we have two partner universities in China: Soochow University and Beijing Institute of Technology. So far we have had six of our staff obtaining their PhDs from China and about another 10 undergoing the PhD and Master’s programme. Our senior academic staff, about 15 in all, has exchange research programmes with their counterparts in China. These are in diverse fields of Nanotechnology, Chemistry, Materials Engineering, Human Kinetics and Strategic Studies. We also have a BA Chinese Studies programme with Soochow University, where the students spend the first and fourth year at UNILAG and the second and third in China. We also have collaboration with Soochow University for the training of medical doctors. The Medical and Dental Council of Nigeria made this possible after a visit to the University in China. Prof. Oni, who presented a paper on Nigeria-China cultural exchange at the Heritage Africa yearly lecture in Abuja, themed, Nigeria and China: A Shared Legacy of Culture and Humanity, traced the rise of China in the global political space with the conclusion that the giant in the Asian continent had become so influential on the world stage that it was important to understand how it has been reaching out using culture. Oni reminded that the Chinese adopted the thoughts of the ancient philosopher, Confucius, to shape the other dimensions of their national life, including economic planning and international relations. Oni also explained that there are hundreds of the institutes across the world, all having a respective dialogue with host communities to foster cooperation and interaction. He said of the scores of those institutes across Africa, two were present in Nigeria, bringing to bear the unique nuggets of Chinese thought to their hosts, without creating any sense of superiority in the interaction process. He, therefore, admonished that in analysing Chinese aid or borrowing model, African governments and peoples must keep an eye on the big picture and not lose sight of the benefits, if the relationship is strategically aligned to needs and priorities.